Your industrial doors are an investment and should be kept in good working condition to avoid those unexpected, unnecessary costly repairs. Constant use places more stress on your door system than ever. Combined with lean workforces and tight resources and door maintenance is often postponed until problems occur. Then, it becomes much a more expensive repair, with the added costs of downtime and lost productivity. Precision Maintenance Programs are scheduled to be least disruptive and can catch little problems before they become big ones. Complete communication - Many property managers are “off-site”. When requested, we are happy to call your office when service to one of your tenants is complete. Initial Calls with pre-set limits - We offer customers a pre-set “Not To Exceed” limit for the first service call. By having this NTE amount established, any authorized manager can call or email a service request knowing that the bill will not go beyond the pre-determined amount without a phone call or fax quote from our company. We get to know your facility. 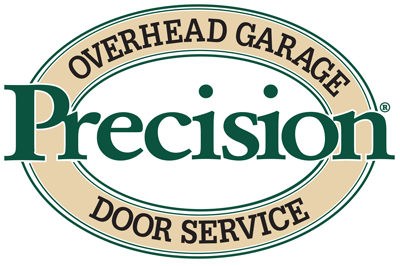 We work hard to be knowledgeable about the specific details, service history & key requirements of your properties including the type & condition of your doors, hardware & loading dock equipment. This allows us to provide exceptional service without taking up the valuable time of your managers or building engineers. Hardware stocking program - We offer an optional stocking program (on your site or ours) where we order and stock various hardware that matches your building standard. By doing this, we can avoid long lead times for doors and hardware. This is a demand based program, so make sure to discuss this with one of our representatives. We look forward to the chance to earn your business and start a long-term relationship with you and your company.